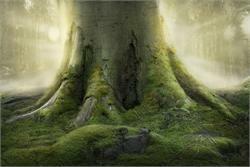 This is a mossy herbal accord that will work for mens and womens perfumes where a soft moss effect is desired. Not A green herbal more of a warm herbal aroma. It's strong! Distinctly herbal, but also has a slight chlorine aspect to it. I could see lots of uses for this if you didn't feel like mixing your own herbal components. Nicely put together, and I can picture it bringing a lot of character to a blend.